Two decades into a multi-faceted career marked by dynamic explorations of the possibilities of contemporary jazz and R&B, two-time Grammy Award winner Paul Brown keeps his grooving momentum going with an amped-up visit to The Funky Joint—his sixth solo album and Woodward Avenue Records debut. 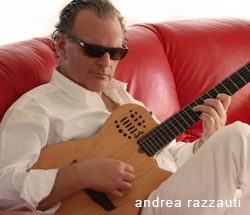 The guitarist and composer’s eagerly anticipated new collection features performances by many of the artists that he has produced or played with over the years, including Boney James, Bob James, Euge Groove, Marc Antoine, Bob Baldwin and Darren Rahn; several tracks also feature Marco Basci, who plays keyboards with Brown when he performs live. The multi-talented performer had the unique experience in 2006 of scoring #1 Radio & Records chart hits as both an artist and producer. “Winelight,” the second single from his sophomore album The City, was ranked by Mediabase as the genre’s most spun track of that year. Radio & Records and Mediabase declared “The Rhythm Method,” the first single from Brown’s third release White Sand, the most played song of 2007. 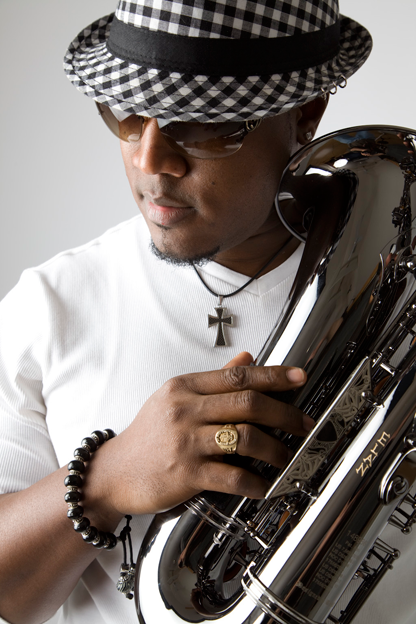 The title track from saxophonist Jessy J’s Brown-produced debut Tequila Moon earned the same distinction for 2008. In 2011, Brown performed many European shows, including appearances with Antoine at Pizza Express in London and a set at the 2011 Smooth Jazz Festival Augsberg (Germany), which featured guest appearances from Jessy J, Gerald Albright and keyboardist Jonathan Fritzen. Stateside, Brown headlined numerous gigs with saxophonist Darren Rahn, a successful genre producer who has scored multiple hits for artists like Eric Darius, Dave Koz and the late Wayman Tisdale. “The Producers” tour found Brown and Rahn playing each other’s songs as well as hits they produced for other artists. The two will be performing more dates together in 2012 and 2013. The Memphis born singer has earned a vast collection of professional credits in the R&B, Contemporary and Jazz genres. She has supported the worldwide tours of some of the most important entertainers of our time and has performed on numerous Grammy award winning albums. Wendy has toured with Julio Iglesias for the past 12 years and has performed with Michael Bolton, Freddie Jackson, Michael McDonald, Peabo Bryson, Stevie Wonder and Kirk Whalum. 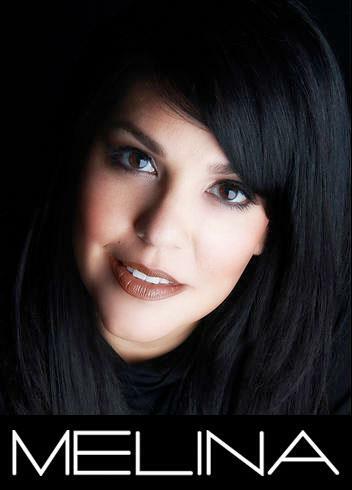 Blessed with one of the most incredible voices in this world, Wendy Moten is a singer's singer. We are honored to have her featured on "Without You," from Michael J. Thomas....produced by the great Paul Brown. 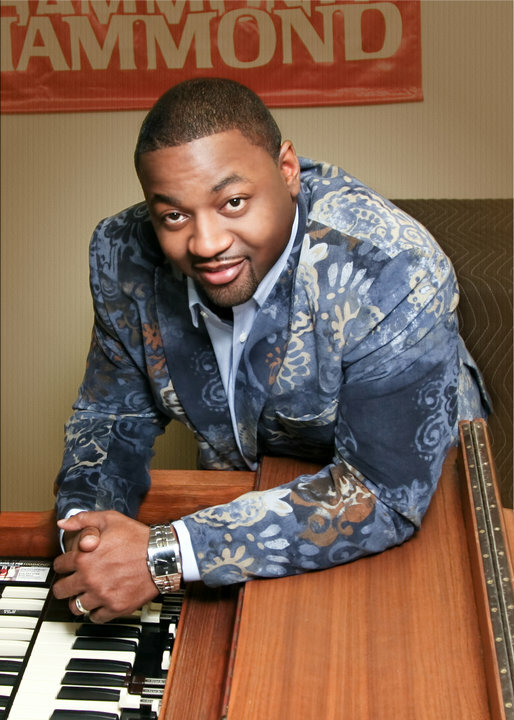 Being a man of deep faith – in fact, lead pastor at Effective Life Church, which he founded with his wife in Conyers, GA – Jimmie Smith surely appreciates the glorious divine irony in having been blessed with the same blazing talent for the Hammond B-3 as a legend with essentially the same name. Paying homage to the great Jimmy Smith (who died in 2005) while illustrating the vast present and future possibilities for this iconic instrument, Jimmie caps a lifetime of ministry and a simmering passion for jazz, blues and gospel with his highly anticipated, cleverly titled Woodward Avenue debut Live In Music City: Jimmie Smith Plays Jimmy Smith. The explosive ten track, 80 minute live performance was recorded as a “Tribute to the Hammond Legend” in front of a revved up audience of over 250 Smith and Smith enthusiasts at The Rutledge in Nashville. Over the years, many of the write-ups and promotional materials employed on Sharkey’s behalf have casually compared him to Frank, Buble, Dean Martin, Mel Torme and Harry Connick, Jr. They’ve mentioned his ability to delight fans with “his romantic style and velvet vocals on old swing and jazz standards that would make Ol’ Blue Eyes himself green with envy.” Yet once the singer began wowing live audiences by peppering the set list with his dynamic original songs, it became clear that he was developing into a singular artist with a hybrid style and vision all his own. His critically acclaimed 2011 independent album Day into Night laid the groundwork for Sharkey’s explosive emergence in 2017 with his Woodward Avenue Records full length debut whose moniker is as hip and stylish as the man himself: Mr. Sharkey. The title of Jeff Ryan’s soulful, high energy breakthrough debut single “Up and Up” on Woodward Avenue Records perfectly captures his dynamic career trajectory these past few years. After years of playing in a variety of regional soul, funk and even big band ensembles, the San Francisco Bay Area based saxophone sensation has captivated thousands with his robust, heartfelt vibe at numerous prominent Northern California jazz festivals – including a four year run at the Stockton Jazz Festival, where he has opened and performed along with urban jazz greats Marion Meadows, Eric Darius, Paul Taylor, Nick Colionne and Julian Vaughn. Fans in Southern California have seen him jam with guitarist Nils at Spaghettini. Now, with the release of “Up and Up” and his multi-faceted debut album Embrace, Ryan is in prime position to join their ranks as one of contemporary jazz’s top emerging artists of 2018. Aside from infectious melodies, killer grooves and true emotional honesty in his expression, another key to the sonic and emotional impact of Embrace is Ryan’s powerful musical chemistry with his co-writer and producer, keyboardist Greg Manning. Manning, longtime keyboardist and musical director for Jonathan Butler who has scored three Top Ten hits as a solo artist, met Ryan when the two played at Sax on the River in Sacramento. Manning was blown away by the saxman’s performance and got together with him later to see how they would connect creatively in the studio. “Greg liked my sound and offered to help any way he could,” says Ryan. “We were in sync from the start, and the first track we wrote was ‘Up and Up.’ I had worked with other producers before, but felt Greg really understood what I was going for.” In addition to Manning on keyboards, Embrace includes contributions from renowned genre musicians, guitarists Adam Hawley and Darrell Crooks and drummer Eric Valentine. Born in Walnut Creek, CA and raised there and in Asheville, NC (with one teenage year spent in Atlanta), Ryan was “born around so much music that it is begging you to play.” His dad is a classical concert pianist, his mom played tracker organ and viola and his grandfather was a music teacher. He started playing piano at age six and took violin lessons upon the urging of his grandfather, but he knew he had found his true musical home when he started on the sax at age ten. “Performance-wise, I did not relate to the sound of the piano, and upon finding the sax it immediately clicked. The saxophone allows me to exactly express how I feel musically,” he says. Ryan was in jazz ensembles throughout junior high and high school, but felt a deep connection to contemporary jazz saxophone greats, from smooth/urban icons like Richard Elliot, Gerald Albright, Dave Koz and Grover Washington to jazz legends Michael Brecker, Cannonball Adderley, Charlie Parker and Dexter Gordon. Some of his other influences include Jeff Lorber, Norman Brown, Rick Braun, Wes Montgomery, Lee Ritenour, Earl Klugh and Jonathan Butler. Studying these musical mentors led to Ryan’s increasing focus on developing a truly emotional and unique style of performing. After starting his college years at Diablo Valley College in Concord, he attended the famed Berklee College of Music as a performance major. He later returned to Northern California, where he studied music production at the Pyramind Sound Institute in San Francisco. Perfectly fusing vintage old school cool and contemporary jazz, soul and pop energy and swagger, Ben Sharkey has enjoyed an extraordinary dual career over the past ten years. Since the charismatic vocalist posted his first raw home videos of himself singing Michael Buble and Frank Sinatra classics to YouTube in 2007, he has amassed over 5 million views worldwide for over 70 clips – including the professionally shot, James Bond themed original “What You’ve Given” (over 150,000 views alone!) The Michigan native has also become one of the Motor City’s premiere live entertainers, with hundreds of performances at jazz hotspots like Cliff Bell’s and a five year and counting residency at the Axis Lounge at the MGM Grand Detroit. Over the years, many of the write-ups and promotional materials employed on Sharkey’s behalf have casually compared him to Frank, Buble, Dean Martin, Mel Torme and Harry Connick, Jr. They’ve mentioned his ability to delight fans with “his romantic style and velvet vocals on old swing and jazz standards that would make Ol’ Blue Eyes himself green with envy.” Yet once the singer began wowing live audiences by peppering the set list with his dynamic original songs, it became clear that he was developing into a singular artist with a hybrid style and vision all his own. 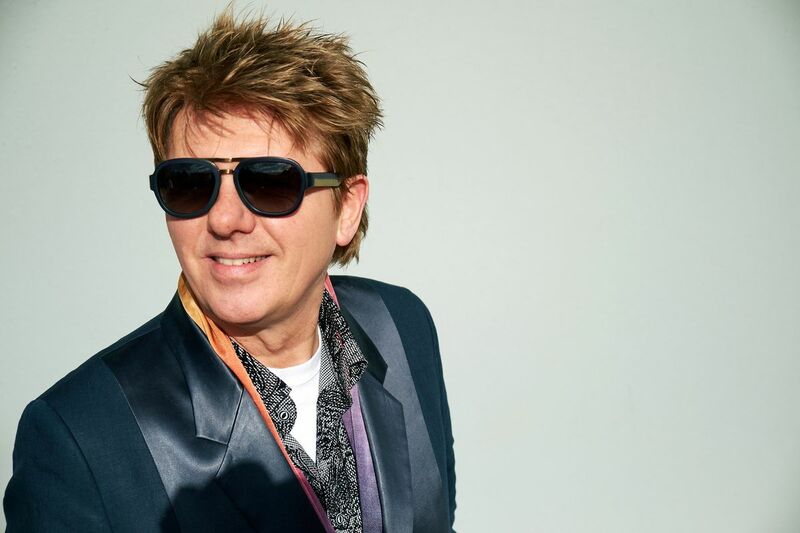 His critically acclaimed 2011 independent album Day into Night laid the groundwork for Sharkey’s explosive emergence in 2018 with his Woodward Avenue Records full length debut, Mercury Rising. Driven by sensual, provocative lyrics and an ebb and flow of songs whose styles and grooves take the listener on a journey that includes soulful jazz-pop, Latin, swing and modern house dance beats, the collection reflects a range of influences that take Sharkey far from his crooner beginnings. From track to track, he draws from a multi-generational musical well that includes the classic drum lines of Gene Krupa, the extraordinary scatting of Cab Calloway and King Pleasure, the bandleader prowess of Louis Prima and – pulling up to the present decade – the pop/R&B infectiousness of Justin Timberlake and Robin Thicke (whom Sharkey once opened for at The Fillmore Detroit). Sharkey’s original idea for the album’s title was “Sound Tracks,” to reflect his concept that this would be a soundtrack to a film that has yet to be written – perhaps a Prohibition era movie full of conflict and resolution, happy love songs balanced by darker mysteries. During the writing and recording, however, his father passed away. Sharkey always gave his dad credit for passing down his cleverness as a writer, and he has wonderful early memories growing up in Milan, MI (55 miles west of Detroit), listening as his dad played everything from classical music to The Beatles. “A lot of my development as an artist and writer these past few years has been about me growing up as a man, too,” the singer says. Considered one of the most interesting and stylish young guitarists on the jazz scene, Nate Najar has arrived, in a major way, as a Groove Jazz solo artist. He has performed with traditional jazz artists like Clark Terry, Ken Peplowski and Ray Kennedy and regularly plays with the world's top smooth jazz artists. 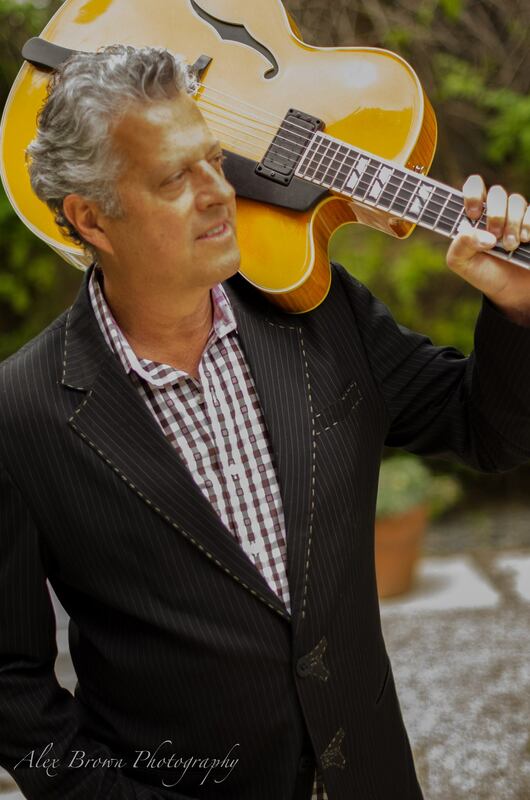 A personal and professional achievement, Nate has also shared the stage numerous times with the Joe Byrd Trio, to pay tribute to the late Charlie Byrd, who has been one of the biggest influences on his style. In the late fall of 2009, Nate released his first Smooth Jazz CD, Until Now, which hit the charts in style and announced his presence on the national jazz music scene. Until Now was Nate’s fourth solo CD, which followed his previous recordings, Live At the Side Door, Christmas with the Nate Najar Trio and The Nate Najar Trio - I'm All Smiles. "Groove Me," a unique and funky collaboration with legendary songstress, Melba Moore, produced by Rick Braun for Woodward Avenue Records was released in October 2010 and has been rockin' the charts for over a full year. The second single from the EP, "Midnight Groove," a Najar original, was released to National Radio in October, 2011. With the release of their highly-anticipated Woodward Avenue Records debut, Southern California’s premiere R&B, funk and contemporary urban jazz powerhouse DW3 lets the world in on a cool “Vintage Truth.” Driven by the ever-evolving musical vision of core members - brothers Eric and Billy Mondragon and Damon Reel - their deepening artistry continues to transcend a well-earned reputation as a high energy, fun and freewheeling party band. While they continue to anchor Thursday nights and the 94.7 The Wave Sunday Brunch at Spaghettini in Seal Beach and electrify festival and cruise-goers as they have for more than a decade, the versatile ensemble is rapidly emerging as a multi-faceted recording outfit in their own right. 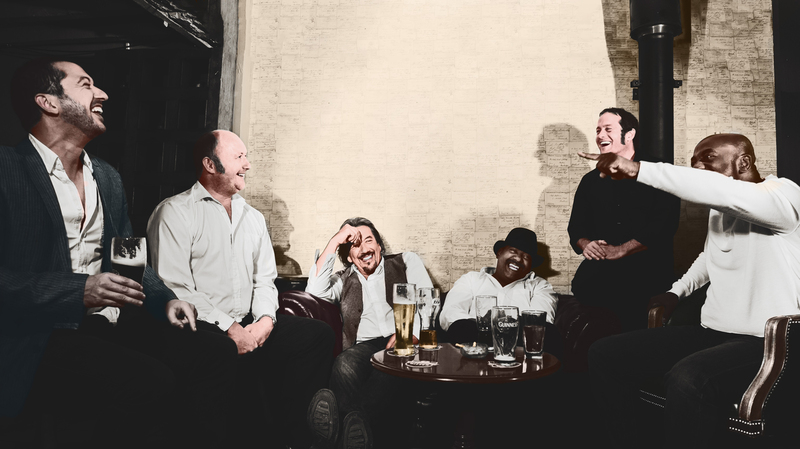 Building on the success of their 2011 single, “I Got You” featuring Gerald Albright, which hit #16 on the Billboard charts, and the “On The Floor” album that went #1 on the UK soul charts, DW3 – now expanded to nine pieces with the addition of a horn section – captures all the dynamics of their live show on the twelve tracks on “Vintage Truth.” The set features exciting original vocal tracks along with freshly re-imagined covers of classics like The Eagles’ “I Can’t Tell You Why,” Luther Vandross’ “So Amazing” and Stevie Wonder’s “Overjoyed.” It also includes DW3’s soulful take on The Mamas & the Papas gem “California Dreamin’,” which won the California Lottery Powerball song contest and spawned a popular YouTube video. Eric, Billy and Damon all contribute lead and harmony vocals, while Eric plays keys (including synth horns and strings) and Billy adds percussion. Hailing from La Puente, California and growing up in the Los Angeles areas of El Sereno and Lincoln Heights, Eric and Billy began their musical careers in high school by playing club dates with their parents; their father is a bass player, and he and their mom are singers. DW3, an outgrowth of that original family band, which took the Mondragon’s sound and professionalism to the next level, has been an evolving collective of musicians since then – but the core (Down With 3) members since 2003 are Eric, Billy and Damon. They became an integral part of the contemporary urban jazz scene in 2004 when they played on the first Warren Hill Smooth Jazz Cruise and were subsequently booked as resident performers at Spaghettini. Since the mid-2000s, in addition to their weekly shows at the popular Seal Beach jazz venue, DW3 has built a massive following via their appearances on numerous theme cruises, including The Smooth Jazz Cruise and the Dave Koz Cruise, and captivating performances at the Sea Breeze Jazz Festival, Newport Beach Jazz Festival, Long Beach Jazz Festival, Thornton Winery Champagne Jazz Series, Las Vegas Jazz Festival, San Diego Jazz Festival, JazzFest West, Taste of Soul Festival and many other nightclubs and festivals bookings. In 2015, they will be making their second appearance at Culbertson’s Napa Valley Jazz Getaway, a five-day wine and jazz festival taking place in the heart of Northern California’s wine country. DW3 will also be performing at the inaugural Cancun Jazz Festival over Labor Day Weekend. While recording several independent albums, including “Live At Spaghettini” and “Life, Love and Music,” DW3 has expanded their artistic horizons performing with and singing background for numerous jazz and R&B legends and popular contemporary artists including Sheila E., Marcus Miller, Brenda Russell, Patti Austin, Bobby Caldwell, Mindi Abair, Jonathan Butler, Jody Watley, Brian McKnight, David Pack, Evelyn “Champagne” King and the late George Duke. 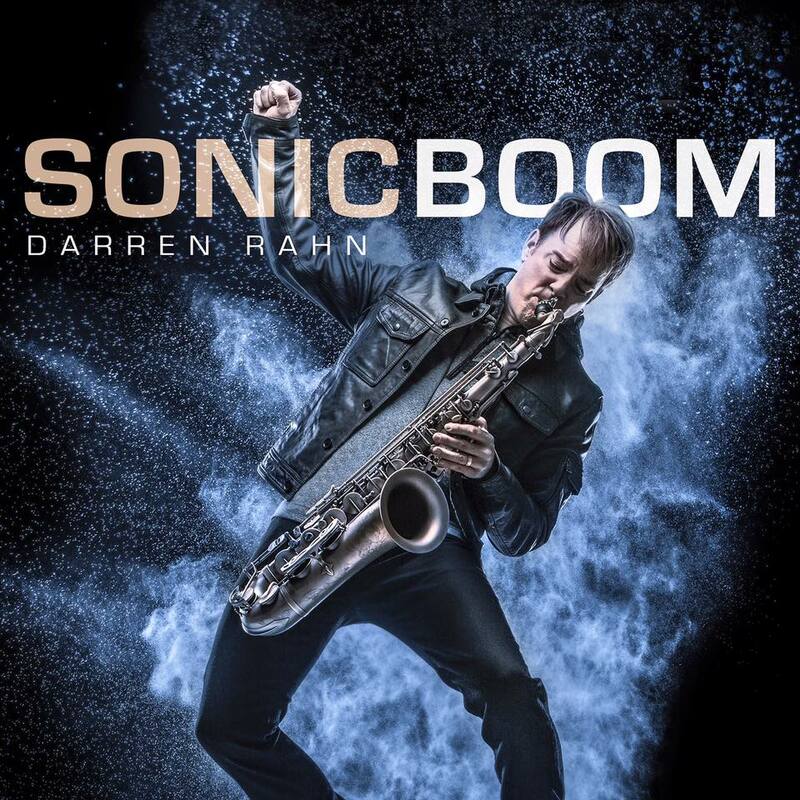 With its perfect balance of powerhouse funk, melodic magic, instantly infectious grooves and emotional ballads, Darren Rahn’s highly anticipated Woodward Avenue Records debut transcends its picture perfect title Sonic Boom. But his choice to focus on a single horn voice – after a decade of solo works that mixed things up – earns him a classic jazz reference that could easily have been its alternate title. Tenor Madness was a classic 1956 album by the legendary John Coltrane with the Sonny Rollins Quartet. With his brash, bold and inspiring latest 10 track collection, the multi Grammy nominated multi-instrumentalist, producer, mixing engineer and sonic architect creates the contemporary urban jazz equivalent. After a decade of hit making, Rahn – who has scored over 25 #1 radio singles for himself and other artists - makes his most dynamic artistic statement yet on a set where “madness” and fun set the tone around an emotional core that’s alternately romantic and poignant. In addition to working with a core of top jazz/funk musicians (guitarist Allen Hinds, bassist Mel Brown, drummers Anthony Steele, Anthony Jones and Tarell Martin), he’s also got a spectacular guest list, vibing intensely with everyone from bassist Julian Vaughn and keyboardist Jonathan Fritzen to trumpet great Rick Braun and famed trombonist Robin Eubanks. Rahn also showcases his lesser known instrumental superpowers on piano, vocals, EWI and retro keyboards like the Hammond B-3 organ and Fender Rhodes. Driven by her freewheeling passion for both breaking and making molds that challenge every notion we’ve ever had about what a female pop singer should be, Stephanie K found the perfect title for her debut recording, which sums up the way she unabashedly expresses her true self as an artist: Troublemaker. The EP launches her association with Woodward Avenue Records, marking the popular urban-contemporary jazz label’s first major foray into the pop realm. Produced by four-time Grammy winner Michael Powell, the hard-hitting, emotional 5-track set captures all the elements that have earned the Detroit-based vocalist and songwriter a reputation around the globe. It’s a sly, sizzling mix of raw, in-your-face honesty, supercharged by deeply empowering lyrics, an eclectic vibe infused with dance, R&B and fiery rock elements, and Stephanie’s free-spirited sass. Saxophonist Elan Trotman, quickly becoming one of jazz’s most thrilling and emotive performers, continues to stand out and push boundaries as a composer, performer, teacher and recording artist. Trotman’s playing, though inspired by Grover Washington, Jr. and Kirk Whalum, among others, displays his own fresh ideas and distinctive tone. So much so that he's a 3-time winner of the New England Urban Music Award for Best Jazz Male, nominated for a Boston Music Award in 2010 for Best Jazz Male, and winner for Instrumentalist of the Year (Barbados) in 2011. Born and raised in Barbados, the native island of pop star Rihanna, and educated at the world-renowned Berklee College Of Music in Boston, Trotman approaches jazz in his own way. Blending Caribbean rhythms from his roots with skillful horn textures, his playing is full of surprises. “I like to stretch out, take chances on my solos.” Inspiring and eminently listenable, Trotman’s music is never predictable. A Tony Award Winner and three-time Grammy Nominee, Melba Moore is known as one of the greatest performers of our era. Over 20 albums and 40 singles later (including two #1s), Melba continues to amaze fans and listeners with her incredible voice and range, as well as her incomparable ability to make great music even better. Melba inspires others with her energy and talent, while also feeding off the creative environment fashioned by the great musicians she works with. Woodward Avenue Records is about great music and great musicians, and it doesn’t get any better than Melba Moore. Raised in a small Kentucky town on sumptuous helpings of R&B, funk and soul by icons such as Earth, Wind & Fire, Stevie Wonder and Prince, Michael J. Thomas studied piano at the age of seven but switched to saxophone —shortly after discovering contemporary jazz artists like Yellowjackets and Dave Grusin on a Technics demo disc that came with a stereo his dad purchased. He earned a music scholarship to the University of Kentucky, but left school early to pursue his professional career. Thomas was just 19 when he joined the Jive Rockets, which opened for the Brian Setzer Orchestra, Big Bad Voo Doo Daddy and Bill Haley’s Original Comets. Since the March 2010 release of his highly acclaimed, successful and chart-topping album, "City Beat," this Destin, Florida resident is fast becoming one of the genre’s brightest new stars. In August 2011, Thomas released the widely popular single "I Think About Amy." A finalist on "The Voice of Holland," Bart has a voice and talent that the world is blessed with very rarely. We are proud to introduce Bart to the American public and look forward to his recording project that will be out to National radio in the late fall of 2012! Blue-eyed soul takes on a whole new meaning! To quote a Grammy winning producer and artist, "You don't hear voices like this........ever!" There are few bands that can boast members who have played on countless hit records that have sold millions and performed with the biggest artists in the music business. Brother Strut has a whole gang of them, and is a collective of some of the best session musicians in the world. Band members have performed and recorded with artists such as Stevie Wonder, Joe Cocker, Elton John, Tina Turner and Amy Winehouse. 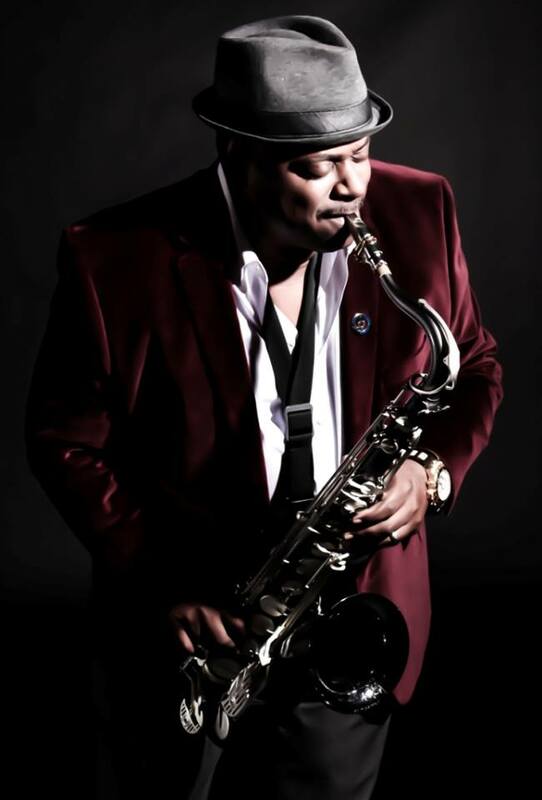 In May of 2015, Deon Yates earned his Master’s of Communications and Public Relations from Lasell College and is now a featured lecturer at Macomb Community College – a renowned Michigan based institution – on the history of jazz music in Detroit. A longtime innovative presence on his hometown’s jazz scene and two time Emmy Award nominee, he brings a fresh and unique perspective on the subject. But that’s just the start of the curriculum for the multi-talented composer and saxophonist. On his infectious, intensely soulful and hard groovin’ Woodward Avenue debut, Yates opens a spirited, high energy School of Funk, offering a dynamic, 11 track master class on the present and future of contemporary urban jazz. The emotional focus of the collection is on Yates’ unique ability to switch off between tenor, alto and soprano as the lead melodic voice from track to track and create dazzling dual horn harmonies. But like all great teachers, Yates brings in an exciting array of “guest lecturers” and sonic architects to help him break all funk IQ barriers. Chief among these is fellow Michigander and Woodward Avenue Records label mate Nate Harasim, School of Funk’s main producer and co-writer, with Yates, of six of its tracks. 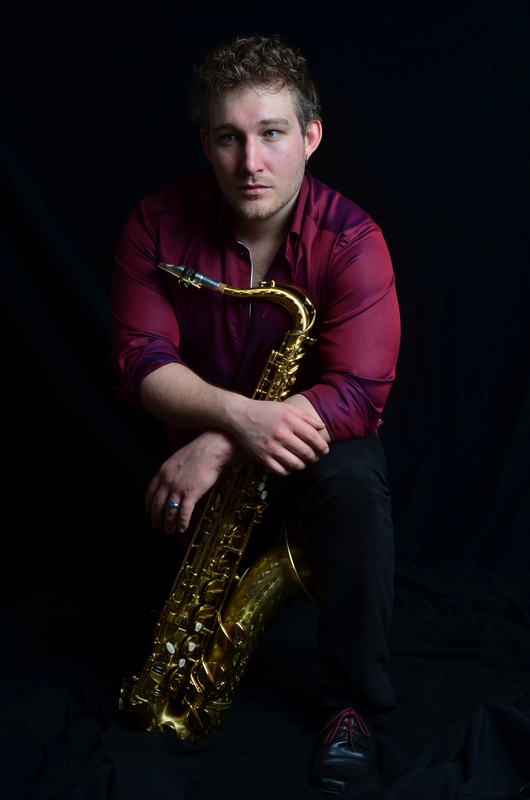 In addition to emerging as an eclectic solo artist, Harasim – whose Fender Rhodes and organ vibe provides the perfect complement to Yates’ lead sax action - has brought the radio magic to tracks by Darren Rahn, Julian Vaughn, Michael Lington and others. Yates first met Harasim at a show in Kalamazoo in 2009, and Harasim has participated in a live music series Yates and his wife have produced in Detroit to spotlight up and coming urban jazz performers. The key attribute of any truly successful artist is the ability to consistently write music of the quality that can shape a career. This doesn’t always come easy, but in the case of writer, producer and keyboard player Jonathan Fritzén, he makes it appear to be the most natural thing in the world. Fritzén was born into a very musical family in Stockholm to a Swedish mother and an American father. Throughout this fast-track progression to contemporary jazz stardom, Fritzén has described his musical evolution as a great learning experience. Already the owner of a Billboard #1 tune and 3 chart-topping albums, there appears to be no stopping this incredible musician from becoming the standard by which all others will be measured. The single "Friday NIght" was released on the Woodward Avenue Records label in the summer of 2011 and rocketed to #1 on the smoothjazz.com and IndieStar charts and # 2 on Billboard. When it comes to singer/ saxophonist/ composer/ lyricist/ arranger/ educator Grace Kelly, people seem to be divided into two groups: those who marvel at her proficiency, creativity and ever-accelerating growth, and those who have yet to encounter the 20-year-old wunderkind. The ranks of the former category are growing by the day. Wynton Marsalis was so impressed with Kelly’s three-night stand as guest of the Jazz at Lincoln Center Orchestra that he invited her to join the ensemble at the Kennedy Center’s Eisenhower Theater in Washington, D.C. for Barack Obama’s Inauguration Celebration. Harry Connick, Jr. heard Kelly in a master class on a December afternoon and brought her on stage to sit in with his band that night. Since then, Kelly has been voted "Best Jazz Act” in Boston four consecutive years in the FNX/Phoenix Best Music Poll, and then voted Best National Jazz Act in 2012. She has received the ASCAP Foundation’s Young Jazz Composers Award in 2007, 2008, 2010, and 2011 and won "Jazz Artist of the Year” at the Boston Music Awards in both 2008 and 2010. The 2009, 2010, 2011 and 2012 Downbeat Critics Poll added to her the list naming her one of the "Alto Saxophone Rising Stars”, the youngest artist ever to be named to the music poll. Though he recorded some of his most acclaimed recordings while living in Spain – including Hi-Lo Split, My Classical Way, Guitar Destiny and Foreign Xchange, his dual guitar album with current Woodward Avenue labelmate Paul Brown – Antoine often felt stylistically limited when working with locals who were versed mostly in pop and flamenco. He deeply missed the kind of versatility of his musician friends that lived in California, and the camaraderie they shared. Though he began a handful of the nine tracks at his home studio in Madrid, Antoine – who plays nylon string, steel string, electric guitar, keyboards and percussion - was excited and freshly inspired by the musicians he invited to play on Laguna Beach. Daughter of Rob Wasserman, legendary Grammy® Award-winning bassist — was literally born to sing. Over the course of the past seven years, her family’s roots and shoots led her to musical collaborations with Lou Reed, Christian McBride, Aaron Neville, Vernon Reed, DJ Logic and Stephen Perkins. The result was "Solid Ground," an album of songs released on the Pacific Coast Jazz label that is both the reflection of a beautiful creative soul and a brilliant showcase for a truly spectacular voice. Woodward Avenue Records is pleased to welcome Sara for her rockin’ single collaboration with producer and guitarist Nate Najar. But the truth is, from the minute we hear her pure, soulful tones -- with simple piano accompaniment -- on the opening track and first single “Maybe Not Today,” it’s the listener who gratefully enters the cool and often surreal musical dreamscape created by her and guitarist/producer Paul Brown. We’re the ones dazed and dazzled by this naturally gifted musical storyteller’s ability to tap into the joys, challenges and raw emotions of her own life, which allows her to take us on this initial journey. It’s an adventure that reminds us - in an often hard world where good news is increasingly harder to come by – that if today doesn’t bring that love and joy, we just need to wait for tomorrow. 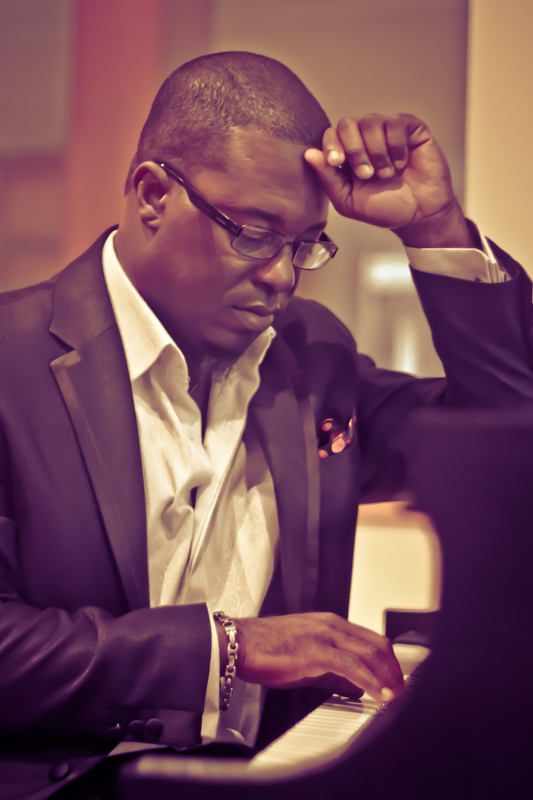 Producer, Multi-Instrumentalist, Composer and Singer, Nathan Mitchell, has become one of the most sought after talents in Smooth Jazz.. A well known gospel artist, Nate has performed with many of the biggest names in smooth jazz since his entry into the genre in 2011. Andrea’s father (gifted in his own right) presented him with his first guitar when he was only 9 years old; by 11, he was playing in a local band and in his early teens performing professionally. Opening for many well-known popular bands, he received high-praise and an exalted notoriety for a variety of musical styles, ranging from traditional classical Italian to R&B and pop/rock. His fans followed him to many of the most prominent Italian (and European) venues. While continuing as a featured recording artist, it was inevitable that he would ultimately turn to jazz. He studied such masters as Villalobos, Wes Montgomery, Toninho Horta and George Benson. In the 80’s his artistic interests and musical abilities reached an even greater level of sophistication. Recognizing an indefinable affinity between the classical and jazz guitar, he successfully connected the two. Andrea’s passion and fervor translated into an even deeper dedication to his musical compositions. In the 90’s he composed, arranged and produced his first release: Blu Oltremare, a captivatingly seamless blend of classic, Brazilian and jazz. The track represents a fascinating full circle for both Magnusson and Brown, who decided to do a new album after reconnecting at the 2012 Reykjavik Jazz Festival, where the keyboardist performed with his Jack Magnet Quintet and Brown was leading his own show. The newly produced single is infused with exciting “now” energy, but the two wrote the original composition years ago when Magnusson first moved to L.A., and hung out with Brown in his bedroom at his parents’ home. In those days, long before each was famous, they were just writing and playing for fun – and that youthful spirit shines through. The Brown family set up a rehearsal quarter for the keyboardist in their Los Angeles area home and helped him find musicians to secure his first record deal with Warner Bros.
Brown played rhythm guitar on Magnusson’s U.S. debut Special Treatment, which also included an array of jazz greats, including Weather Report’s Manolo Badrena, Victor Feldman, Tom Scott, Richard Elliot and Jeff “Skunk” Baxter. Magnusson brought a fascinating history as a sideman into this project, including recording and touring with Long John Baldry, one of the godfathers of the English rock-blues scene. His first tour with Baldry was with Rod Stewart and Ron Wood & the Faces. The young Magnusson entered the picture some years after Baldry’s original keyboardist, Reg Dwight, found superstardom as Elton John. Magnusson later recorded with Elton on an album by British singer-songwriter Kevin Ayers. Before landing in the U.S., Magnusson released his first solo album Horft í roðann, which featured Yes guitarist Pete Banks and Genesis’ Phil Collins. Nate has previously released three popular contemporary urban jazz recordings – including Rush, the number #4 album on the 2011 Smoothjazz.com Year End Top 50 chart. The composer, keyboardist and multi-instrumentalist earned a Grammy nomination for his work on Dave Koz’s Billboard #1 Jazz Album Hello Tomorrow and a 2014 Soul Train nod for Vandell Andrew’s #1 hit “Let’s Ride.” He scored a #1 for Steve Oliver (“Fun in the Sun”) as one of 14 Top 20 tunes and has also helmed sessions for Darren Rahn, Steve Oliver, Lin Rountree, Julian Vaughn and Vandell Andrew, among others. I’m grateful for the success I’ve had with my previous solo albums, but I’m experiencing complete creative freedom for the first time with Mark Nordman and Woodward Avenue. He’s been following my career for a long time, and knows that at any given time, I’m working with artists in seven different genres that I love in my private studio. He encouraged me on #ShadesofNate to do whatever I wanted, to be myself – and for me, that meant putting all those genres on the album in a way that made sense. 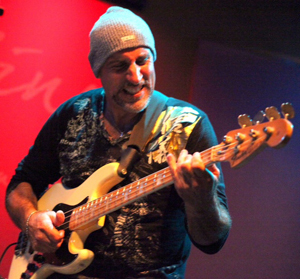 Roberto Vally is one the finest bass players in the world, having toured with Spyro Gyra, Michael Franks, Randy Crawford, Bobby Caldwell and Paul Brown.....to name just a few. 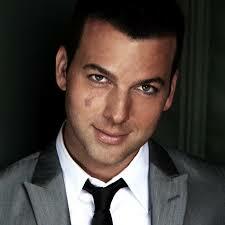 He is also one of the most in-demand studio musicians in LA, having recorded on hundreds of albums. 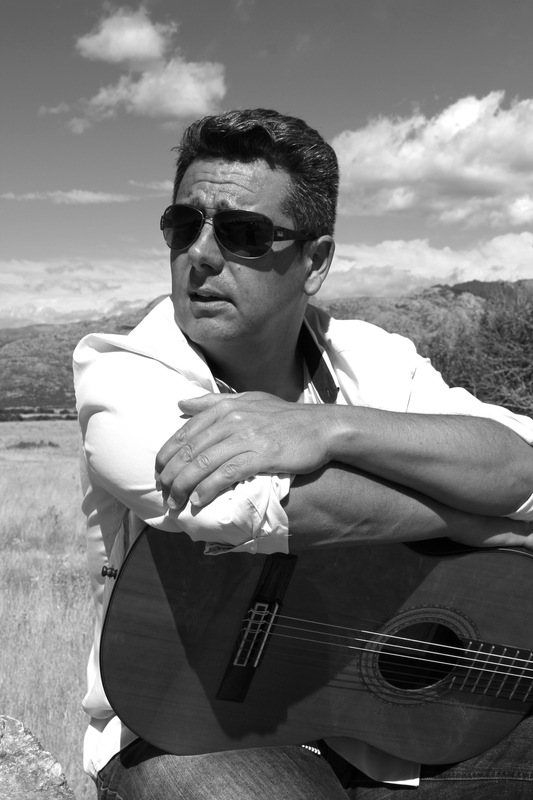 Roberto is also a very accomplished writer, having collaborated on some of the biggest hits in smooth jazz. He has also self-produced his two albums, Boom, Boom, Boom and Pure Lines, both of which have received excellent reviews. 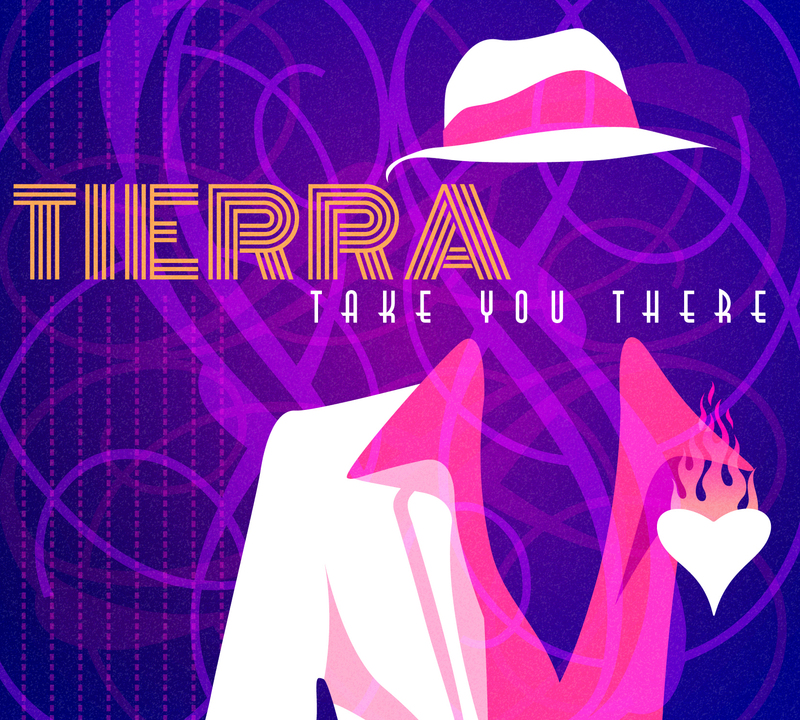 "TIERRA," the famous Latin Soul and R&B band founded by Rudy Salas in East Los Angeles, is back………… with a brand new single titled…….. “Take You There.” Best known for their mega-hit, “Together,” Tierra also produced classics like "Gonna Find Her", "Memories" and "Zoot Suit Boogie". Named "Best R&B Vocal Group" by four leading magazines including Billboard, Tierra’s three decade commitment shows a dedication that can only be truly understood …....by listening to their smooth and soulful sounds.